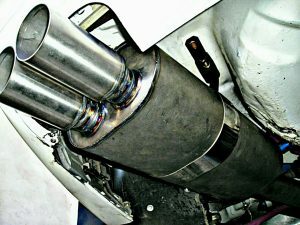 This is our titanium exhaust system for BMW E36 rally car. It’s incredible how light it is, especially comparing it to the stock and/or stainless steel systems. The latter, the old one from this car, for example, weighted in just shy of 35 kilos, while this one is quite fit at 11.7 kg. 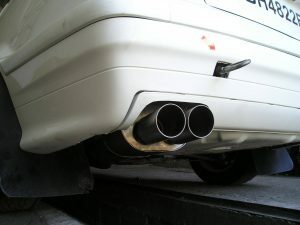 That’s more than three times lighter! Although we are not new to titanium products, there’s a certain shortage of materials here – seamless pipe, perforated metal, even sheets. So these kinds of products are still quite unique. Still, we are open to any of your questions.